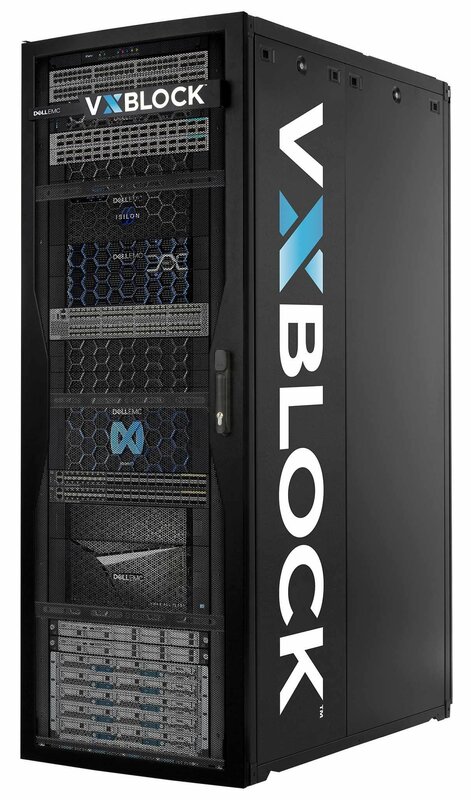 #VxBlockWhat's Next in ConvergedJoin Wikibon, Dell EMC & VMware for an online announcement & interactive chat about new VxBlock System software integrated with the VMware vRealize Suite, providing converged infrastructure users with an accelerated path to IaaS & agile cloud operations. Wikibon initially predicted that converged infrastructure would take > 2/3 of the market. It is $Bs today, but well short of our prediction. CI and HCI are still growing strong. There is a difference between theoretical and reality. Unfortunately, many are not putting enough emphasis on the significance of inertia. Gartner recently wrote that by 2020 only 20% of business-critical applications currently deployed on three-tier IT infrastructure will transition to hyperconverged infrastructure. Do you agree? @rbergin I agree use cases for #HCI are expanding faster than #CI but still not able to cover some particular needs. Thus both have value. There is a lot of academic conversation in this thread. Interesting, but need to infuse the reasons that cause friction. Seems like the middle "Build your own" is still a stronger option. HCI doesn't scale the way customers want and CI is too big. We can't overlook the cost associated with operational changes for both. In the large enterprise, integrating a CI or HCI product can cause more overhead vs. reducing overhead. There's also the sunk cost of legacy operations. If you aren't "all in" then it's just another system to manage. @CTOAdvisor CI is much more flexible today than the past. And #HCI sure does scale. Haven't seen customers that go CI/HCI and turn back to build your own. I used to worry about the overuse of the "disrupt" concept... brings to mind a 2 year old on the floor at Christmas dinner. I'd rather see innovation than disruption, since the former still has meaning. The challenge is adoption not retention once it's adopted. Changing MSP contracts for example is a big change to adopt HCI. While most are focused on and targeting enterprise customers, it is the midmarket that is quietly and aggressively adopting CI/HCI. They do not have the burden of legacy and they need to scale real fast, keeping costs and manageability under control. agree with you that once customers adopt CI/HCI they don't go back to build your own. I think the market has been held back a bit by customers not organizationally optimizing for CI/HCI so many are not realizing the full benefits. that is changing for the better now. 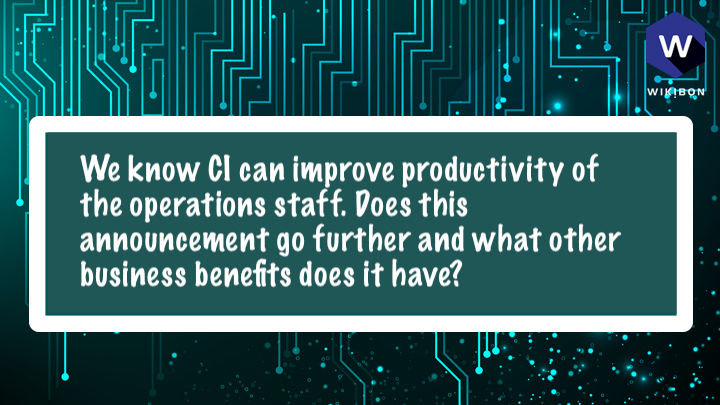 My challenge with CI and HCI is that they both "can" reduce operational cost and effort. Most large enterprises aren't positioned to adopt CI and HCI across their entire DC. Both just become 2 more platforms to manage. This is a key point Keith and to my point about the difference between potential and reality. If we were to dig into the reasons why and work toward addressing those, we would see adoption rates increase. @tcrawford Agreed Tim. CI and HCI are logical next steps for DC design and operations. It's removing the barriers to retiring legacy operations and systems. How many data migrations never complete due to some random barrier? please explain - maybe I'm missing something, but if I take away some of the things like patching and turning knobs, IT is free to do other things. What are orgs not ready for? The issue for many lies in the switching costs. It is not trivial moving from traditional silo/ stacks to CI/HCI for existing applications. @stu If you are in a MSP contract that bills based on metrics around patching, provisioning activities etc then CI throws a challenge. There's little financial incentive to adopt either tech if there's no operational cost relief or gained agility. Let us not forget that much of the friction preventing adoption has nothing to do with technology. You really have to get procurement, contracts (MSP and Customer), and IT all involved in a true operational transformation. Even the process to switch (training, depreciation models, architecture, resource priorities, etc) will create significant friction. The reality is: It is never a comparison of infrastructure TCO of traditional stacks versus #CI/ #HCI. @treylayton just modeling cost of acquisition and cost of operations doesn't truly show the differences. The macro point is that there is more money to save in operations than there is in purchase costs. You directly affect operations by deploying repeatable integration standards that are deployed and sustained across a global customer footprint. @treylayton If you can realize those savings. The realization of those savings isn't simple in a large enterprise which is where the VxBlock is positioned. It depends... Again, it has the potential to reduce cost if coupled with change in MSP contracts and overall DC processes. It could just be fast time to value which has value alone. It's a big range. The savings is on the Opex side and once understood and calculated out, it's eye popping - think management savings and productivity increases. @MikeLeone_IT Agreed, impact is mostly (not entirely) within OPEX. Short-term CAPEX investments drive long-term OPEX savings. 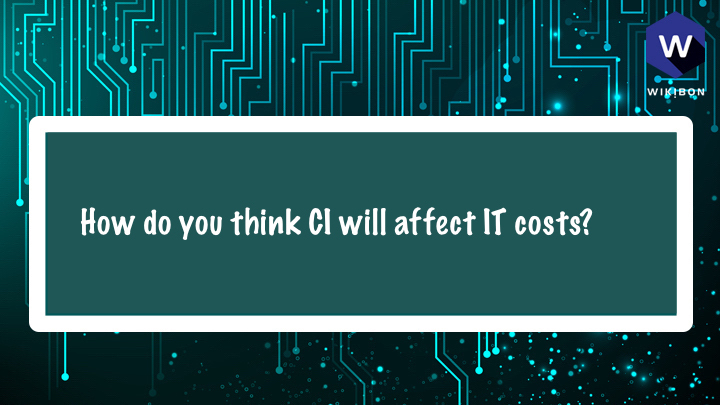 I'd argue if your primary focus for CI is cost reduction, you may be looking at the wrong thing. It should be a byproduct. @jon_siegal Completely agree. It's a change that allows to IT to be more responsive to business needs. The increased efficiencies leads to hard to quantify ROI, but its there, and its real. CI was thought of as large and rather inflexible - Dell EMC has the broadest offering in CI and now under a single solution rather than individual. I don't believe this announcement solves the core challenge. Great technology improvements over previous generations. The core challenge is process focused. I'd would have liked to see the announcement teamed with best practices from management consulting firms. 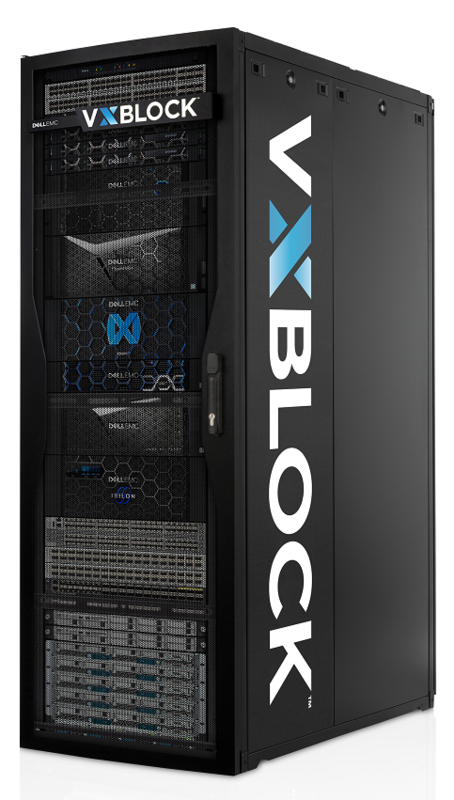 #VxBlock1000 increases ops efficiency at scale with a single platform for hundreds of compute nodes and multiple storage systems. Enforces standardization further. Lab evaluations by the ESG analyst group indicate that previous generation VxBlocks upgrade process are 6X faster than traditional infrastructure. The new VxBlock consolidates even more technology into a single CI system than previous VxBlocks to further simplify upgrades.